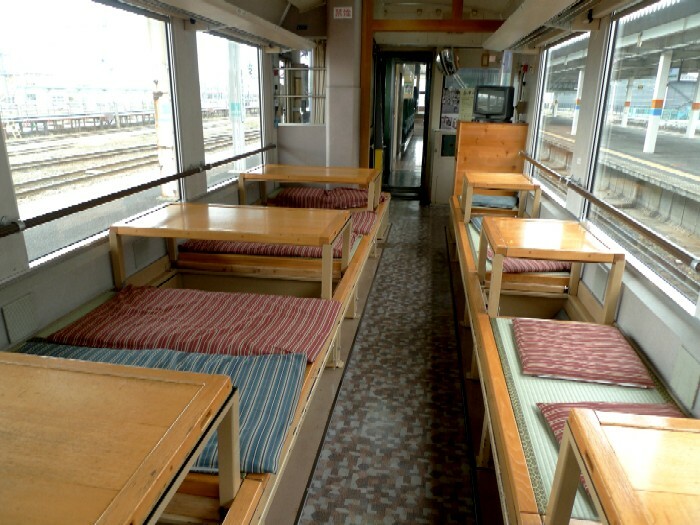 Ozashiki train is a Japanese style salon train with tatami mats covered floor. A special train like this is usually booked in advance and offered for groups. 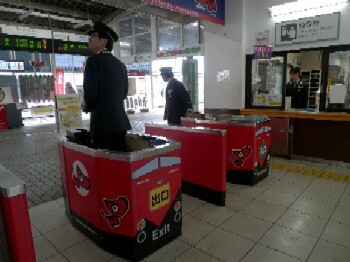 However, here in Aizu, we can take a ride on it without reservation if you pay 300 yen in addition to the regular fare. Aizu Railway Co.,Ltd. 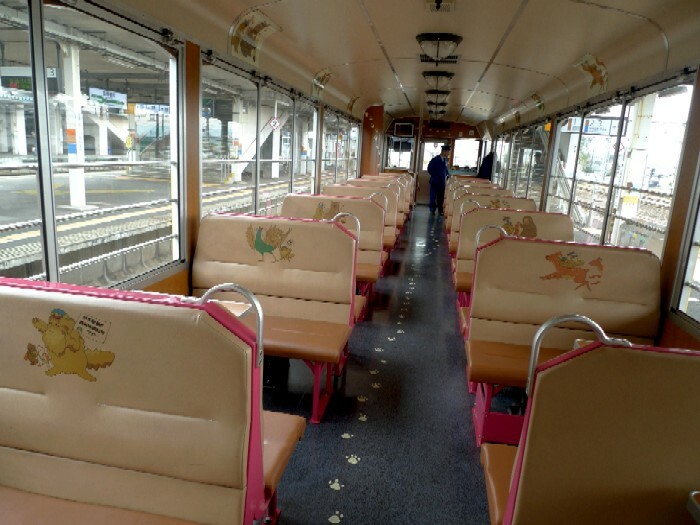 runs the one in the opening photo (called Ozashiki-toro-tenbou train) several times a day on weekends and everyday during the tourist period (from April to February). 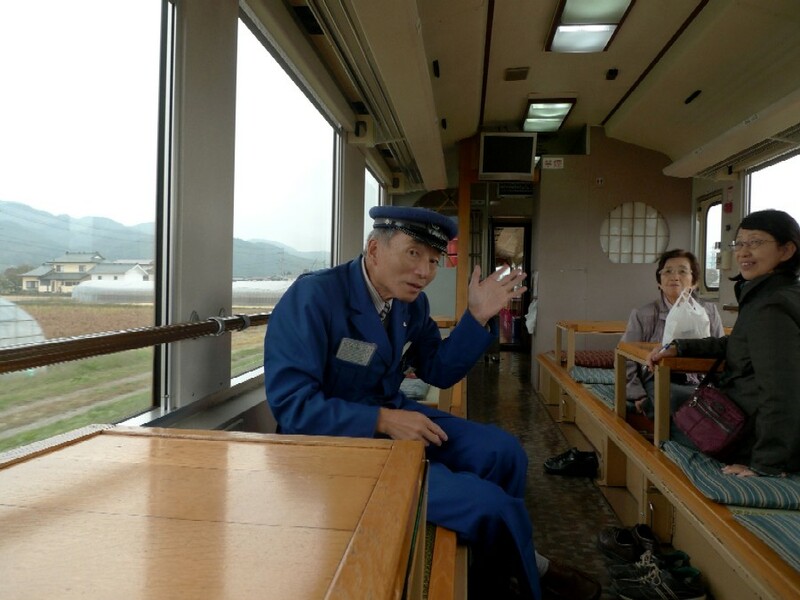 When I went to Southern Aizu last spring (see the previous post), I saw this train, but I couldn’t ride it because of the schedule. So, riding this special train was one of the pleasures of this trip. 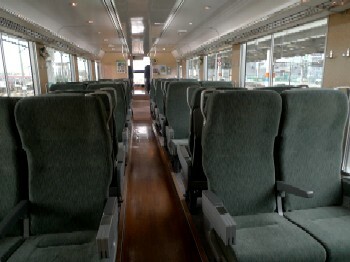 We boarded it from Aizu Wakamatsu to Aizu Tajima. There weren’t many people since it was a weekday. Passengers were only the ladies in the photo and us, and there was a relaxed atmosphere on the train. 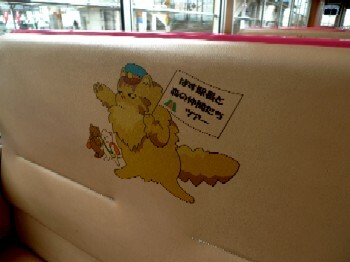 The conductor also took a seat for a while and directly told us the transport schedules instead of making a train announcement. 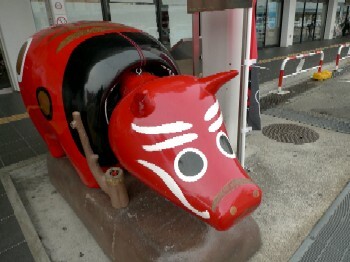 The ticket wicket was colored red and black in the image of the Akabeko, a traditional toy from the Aizu region, shaped and painted to look like a red cow. Ozashiki-toro-tenbou train was a three-car train. 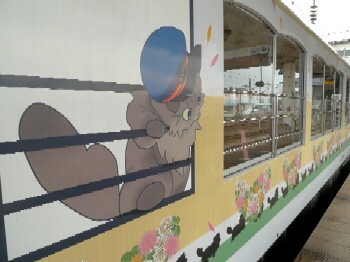 1st car was called Torocco car with an illustration of Bus, a cat that has been appointed as the honorary stationmaster of Ashinomaki-onsen Station since 2008. 2nd car had Ozashiki style sets. 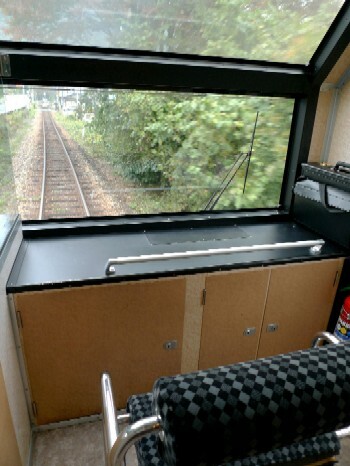 3rd car was called observation car with special view seat. 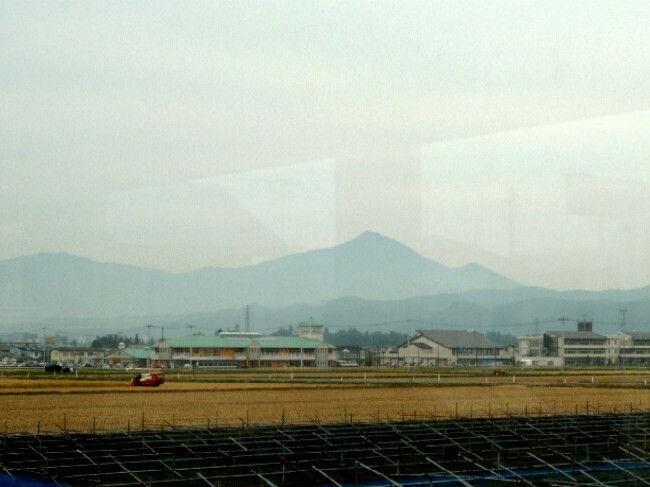 After leaving Aizu Wakamatsu, we could see Mt. Bandai out of the train window. We took off our shoes and enjoyed relaxing on tatami mats and drinking cold beer during the train trip. 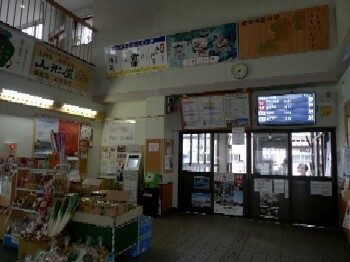 The train made stop for relatively long periods at 2 stations inclulding Ashinomaki-onsen Station that I visited in May. At that time Bus was sleeping, and this time…she wasn’t there. She was on a walk. What a pity! Other than stations, the train stopped few time at the points from which we could enjoy superb views. 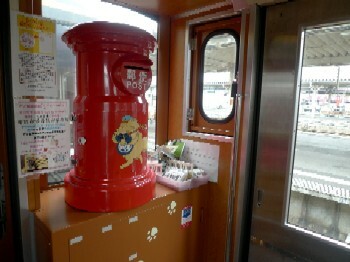 Tsubomi chan, official mascot of Aizu Railway, greeted us on the platform. 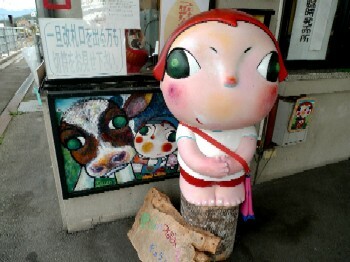 Among minor mascots produced by companies, local government and associations, I think Tsubomi chan is quite a little love. 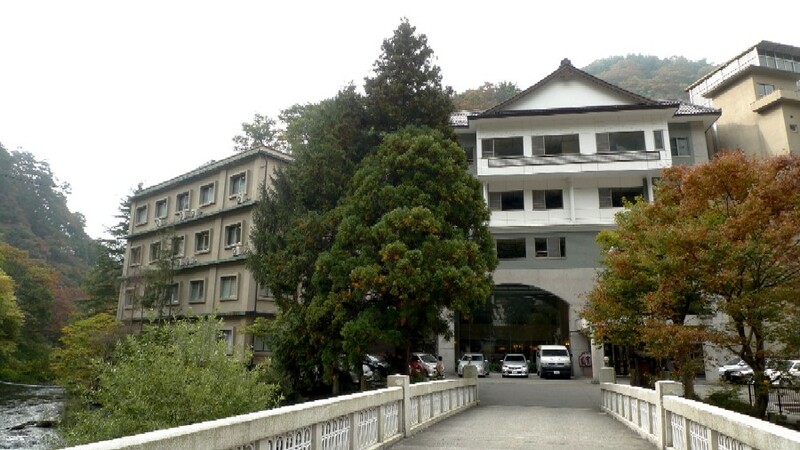 Higashiyama Onsen (or hot spring resort) is located only 10 minutes away by car from the center of Aizu-Wakamatsu. 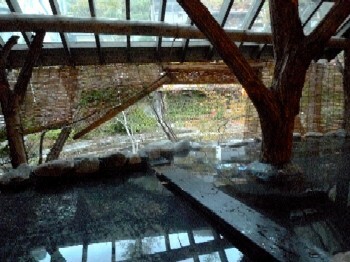 According to the city’s site, it’s told that a Buddhist monk founded this hot spring about 1300 years ago. 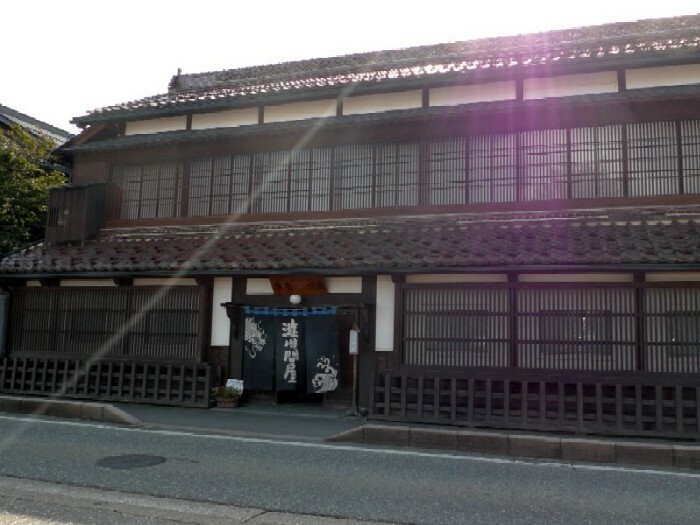 This high class established Japanese inn, Mukaitaki, was handed down from the lord of the Aizu domain. 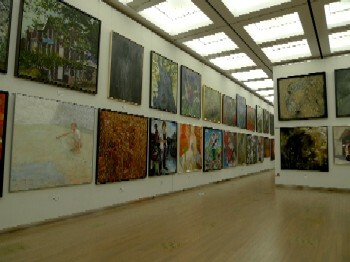 The traditional buildings are registered as a cultural property. 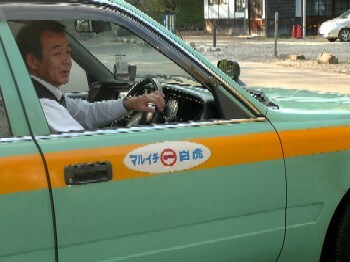 As a matter of fact, our hotel was not that one but Shintaki in the picture below. 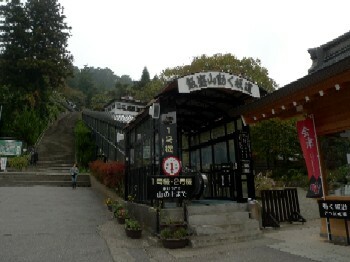 We couldn’t afford to stay Mukaitaki, but Shintaki, one of another historical Inns, was available at a reasonable cost. 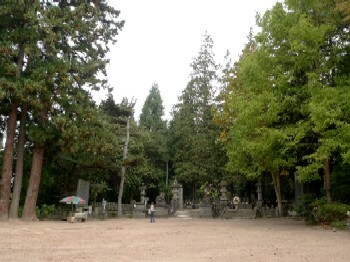 Shintaki was a former private villa of the Aizu domain. 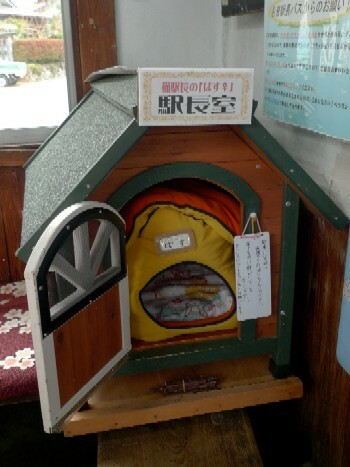 This inn accepted afflicted people and evacuees in Fukushima nuclear plant 's neighborhood immediately after the Earthquake, for free at the beginning, and later, as a publicly-run evacuation center. Now there is no refugee because they’ve already moved to temporary housing. Left: The inn is built along a river, allowing us to enjoy a riverside view from a bathtub. 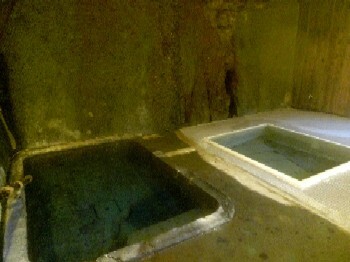 Right: This tub is special because the hot spring water is naturally gushing from the bottom of it. I most wanted to take it. 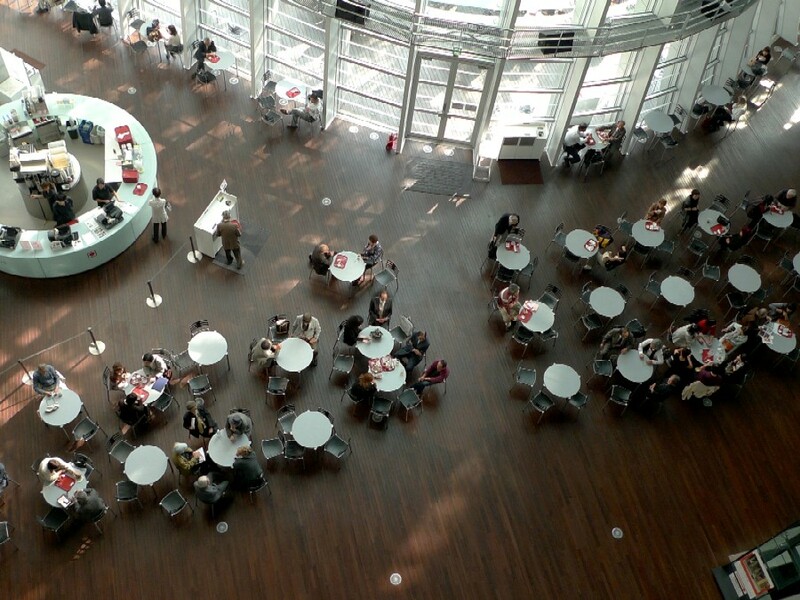 We had a dinner at an eating facility with other guests. 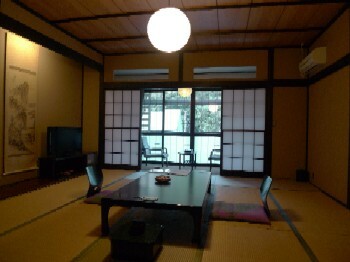 At a Japanese style inn, a small group of guests mostly had dinner in a guest room. 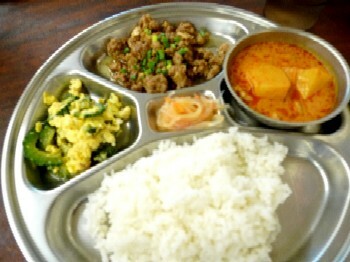 It was a standard dining style (a serving ladies bring dishes to your room), and some inns keep it. 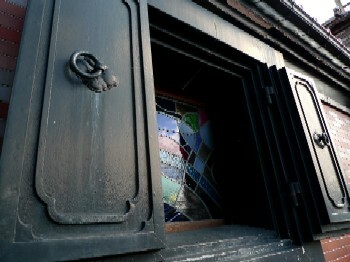 However, these days, many inns have adopted this new style. Do you notice people in the photo wear the same clothes? It’s called Tanzen, a cover-up wear for Kimono. 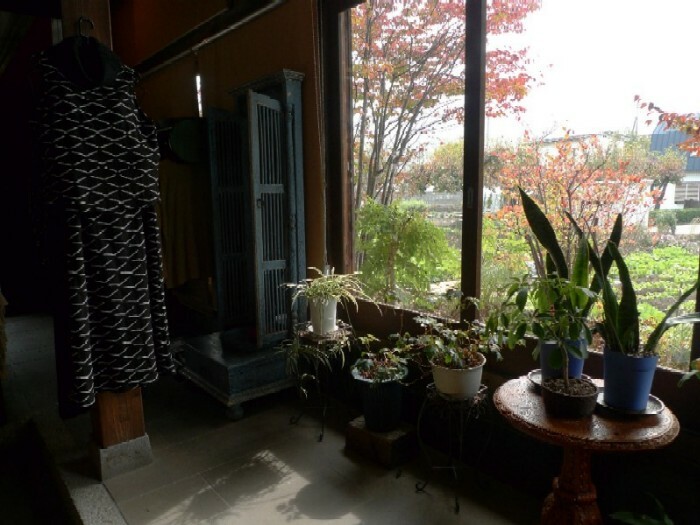 In hot spring resorts, every Japanese style inn prepares Tanzen and Yukata (light cotton kimono) as amenities. After checking in, we change into Yukata and go to a bathing area. If it’s cool, we wear Tanzen, too. You can go anywhere inside an inn with Yukata and Tanzen and also outside, as long as it’s within a resort area. 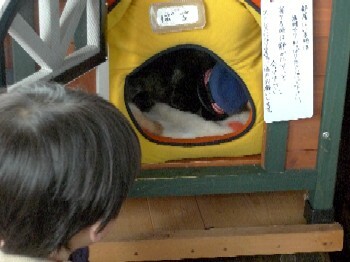 There was a lending service of colorful Yukata other than one in a room. I selected this one in the photo. 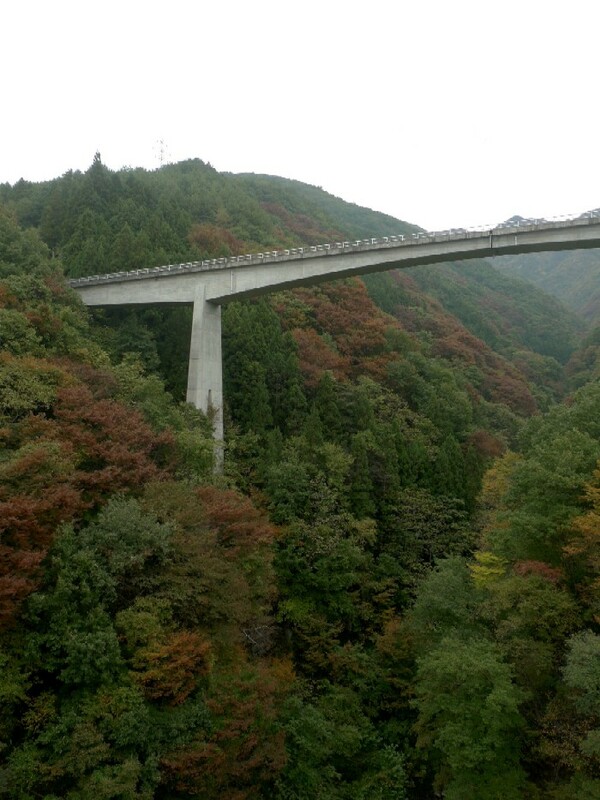 My friend and I visited Aizu Wakamatus, a city located in the Aizu region of Fukushima Prefecture, last week. 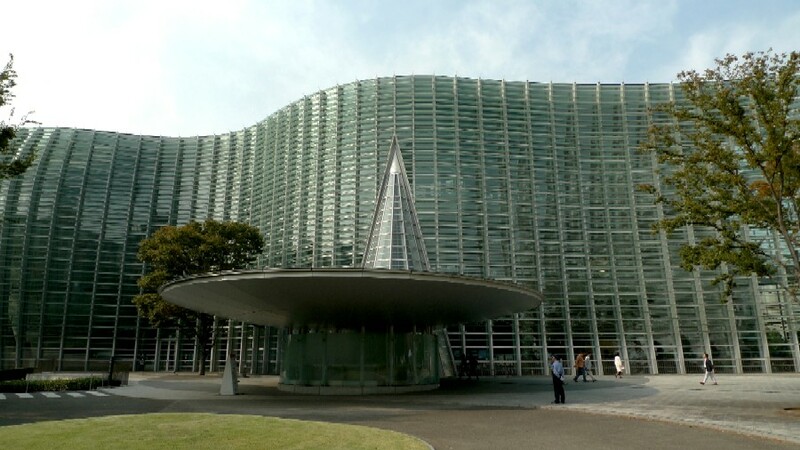 The city has a long history: it was a strategic place in Tohoku district under the Yamato regime in the 4th century. 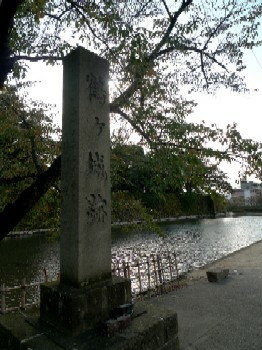 The Aizu Domain was a loyal supporter of the Tokugawa Shogun. In the Boshin War (1868 – 1869, Japan's last civil war), which leads to the Meiji Restoration, The domain was defeated by the imperial forces. It was first built in 625 years ago. During the civil war, it endured a fierce battle for more than a month, but it was finally destroyed under the orders of the new Meiji government in 1874. 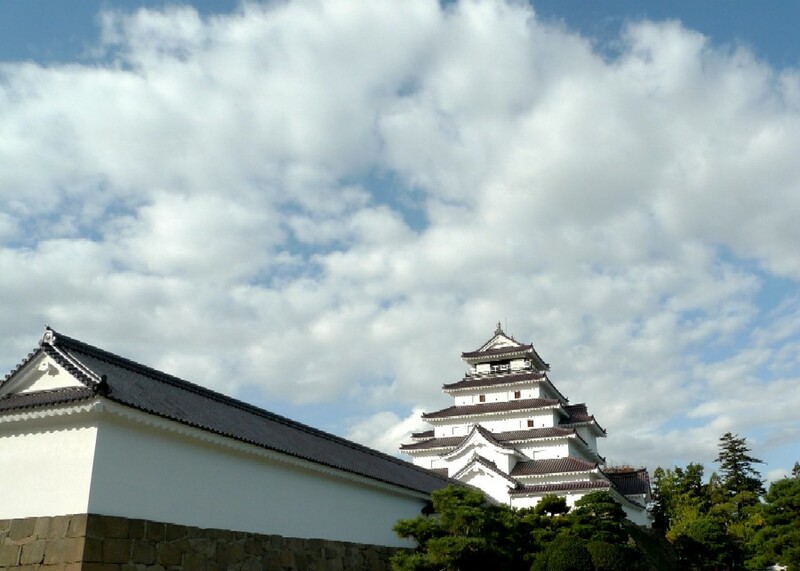 The castle was restored in 1965 after World War II that was a major historical turnaround for Japan since Meiji Restoration. This saying literally means, “Never do what should not be done”. 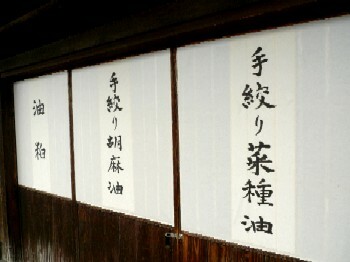 It was a part of Ju-no-okite, the law of Aizu Hanko Nisshin-kan, a Samurai training school. 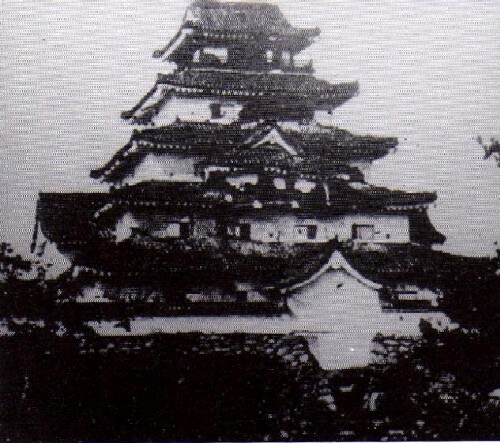 Children of samurai families entered this school at the age of ten and worked on academic studies and physical exercises to instill both physical and mental discipline. 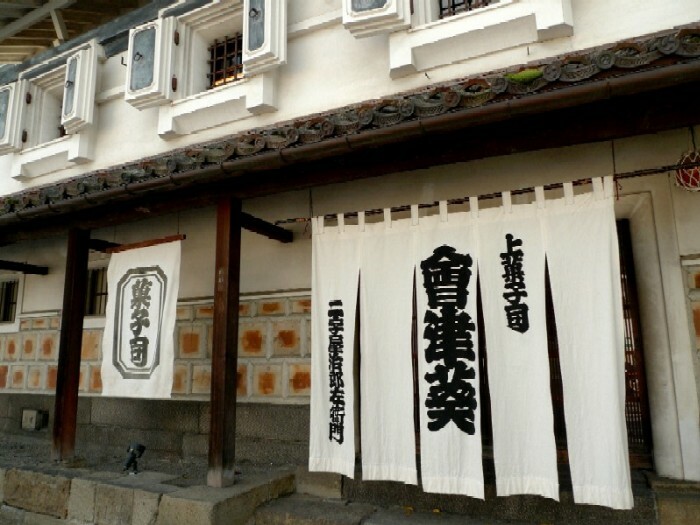 The saying shows the nature of persistent and responsible Aizu people who supported the Tokugawa Shogun, which already seemed certain to lose, until the end. They did what should be done if it was painful yet necessary for the rightfulness. I found many signs with this law on it in Aizu. I think the nature is passed down from one generation to another. 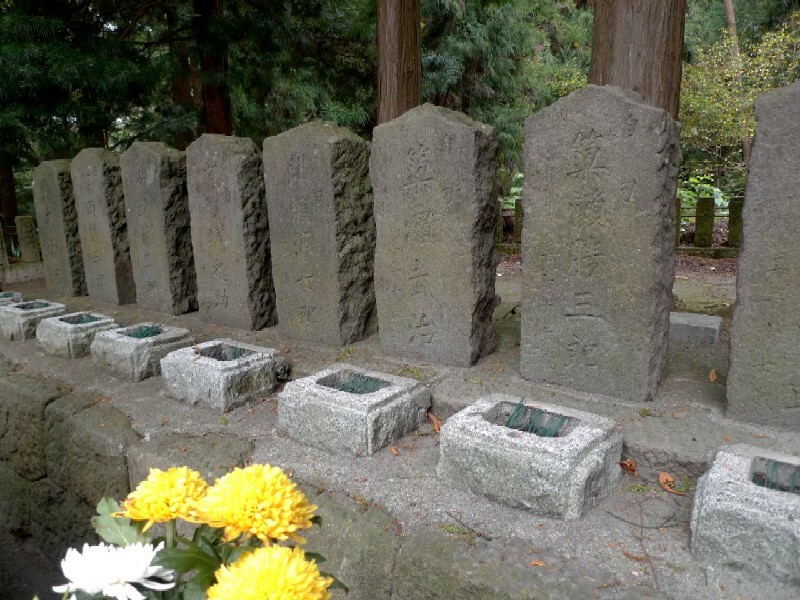 If you hear “the last war” in Aizu, it wouldn’t be World War II but Boshin War. The Byakkotai was a group of young soldiers aged between 16 and 17. 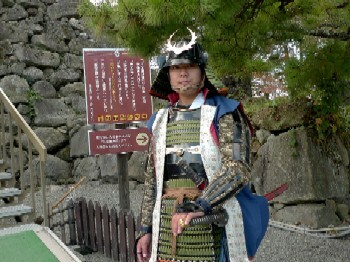 At the end of the Boshin Civil War, they had to defend the city as solders. After being defeated in battle, hungry and exhausted they arrived at the site of Iimori Mountain to witness their castle town ablaze. The despairing young soldiers committed suicide at this site. The tomb sits on the hill. We took a paid moving sidewalk. The tragic story of the of Byakkotai embodies trials and tribulations of Aizu people at the end of Edo period (1603-1867), and it’s transmitted by word of mouth. 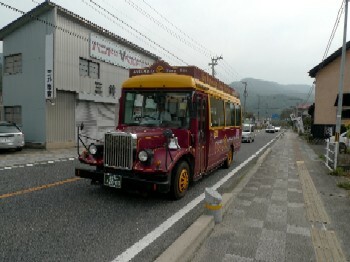 My friend and I met a local man in a bus to the Iimori Mountain. He told us what Byakkotai was at full length when he knew we went to the tomb. I believe each one of Aizu people can be a tour guide. 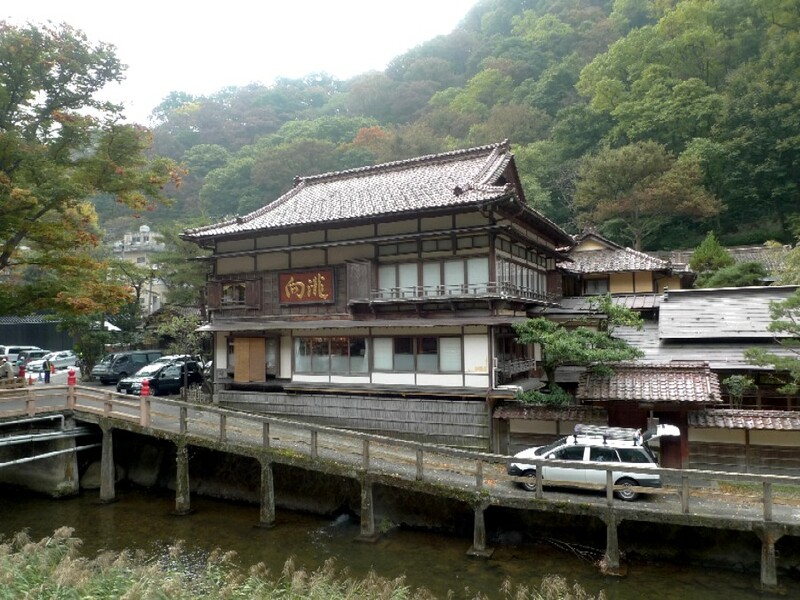 We moved around the city dotted with historical buildings and Kura storehouses. 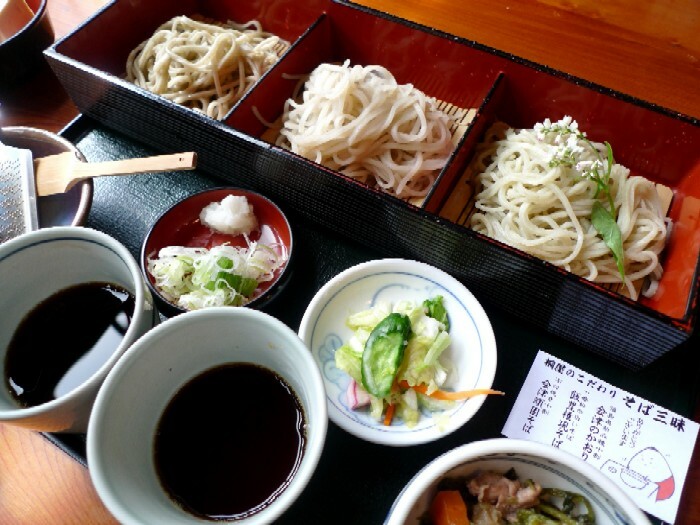 Aizu is well known for its rice and Sake, rice wine, production, but it’s also famous for good buckwheat noodle. Though I see a movie once in a while now, I used to spend a lot of time watching movies, especially in my early 20's. I watched must-see old films through video and DVD and often went to a theater, too. 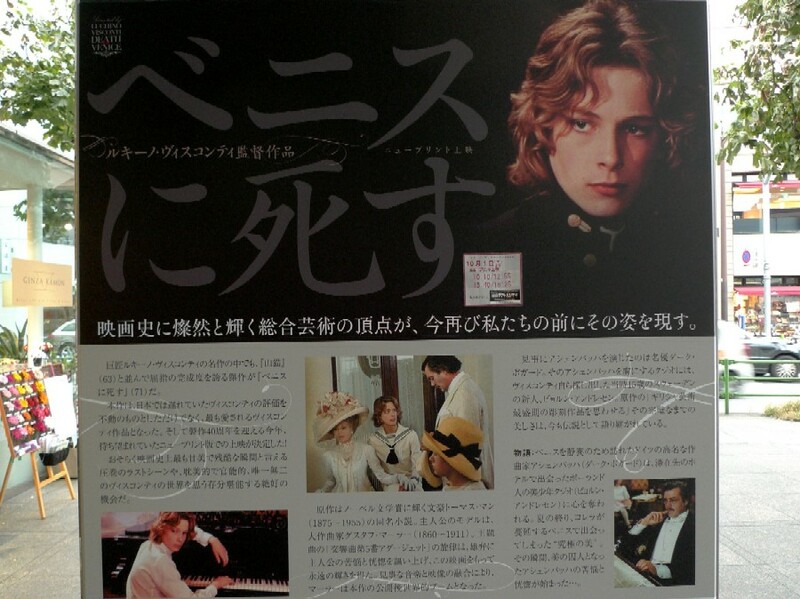 Of course I watched this masterpiece, Death in Venice, directed by Luchino Visconti before. In the film, a German composer, Aschenbach, played by Dirk Bogarde, visits Venice for health reasons. He gets lost in the stunning beauty of an adolescent Polish boy named Tadzio, played by Björn Andrésen, who is staying with his family at the same Grand Hôtel des Bains on the Lido as him. The elements of it impressed me even through my small CRT-based television: the beautiful images of Venice, the spectacular portraits of the miraculous boy, the picturesque beauty of costumes and resort styles of guests, and so on. Seeking those images, I visited Lido when I traveled to Venice. I was thinking I’d like to see it again at a theater if given the opportunity, and I finally had that chance the other day. I knew it’s now screening by coincidence and rushed over to Ginza Theatres Cinema. Seeing the same movie after an extended period of time, it made different impressions. Now I can understand the death is a blissful moment for Aschenbac while I formerly thought it was simply miserable. Personally, I didn’t feel sympathy for the composer profiled in it, in the past and this time too. Indeed, there are only a handful of genius and humans endowed with perfect beauty. 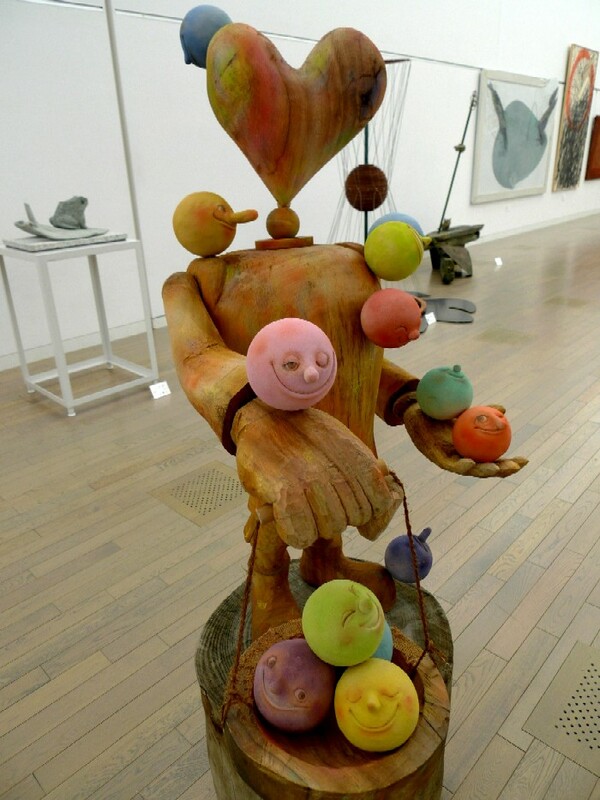 So, it should be one of life themes for us, regular people, to accept one’s ordinariness and dullness and to learn how deal with those beyond one's reach. In that sense, the German is miserably obtuse. However, the more obtuse you are, the more likely it is you experience a sweet torment. Oh, one more thing. The genius and beauty may be not necessarily eternal. The beauty of Tadzio, which has been my prototype of a beautiful boy with the blond hair, must disappear in an instant. The actor, Andrésen, was 15 years old at that time. Maybe his face became a little craggy a year from that, and that was accompanied by loss of the perfect beauty. What a brief dream. Then what is happening with him at the moment? I googled him and easily found his recent photos (I found out for the first time, the young actor was highly valued as a teenage idle in Japan). Of course, there is nothing left of Tadzio, but Andrésen in mid-fifties is reasonably cool. It was a mysterious Thai restaurant for me for a long time. I recognized the restaurant under the elevating structure of railroad in Yurakucho five or six years ago. 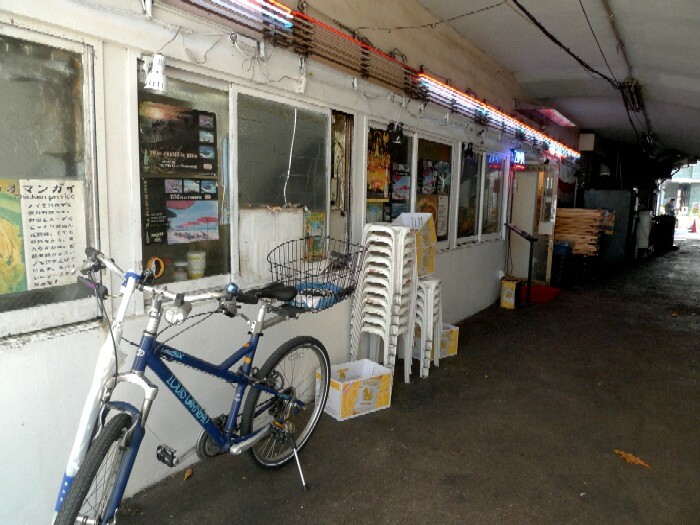 Its atmosphere struck me; I felt like as if I was in the street of somewhere in Thailand. All members of the staff were young and old Thais. A sing said the head restaurant was in Phuket. The mystery thickened. 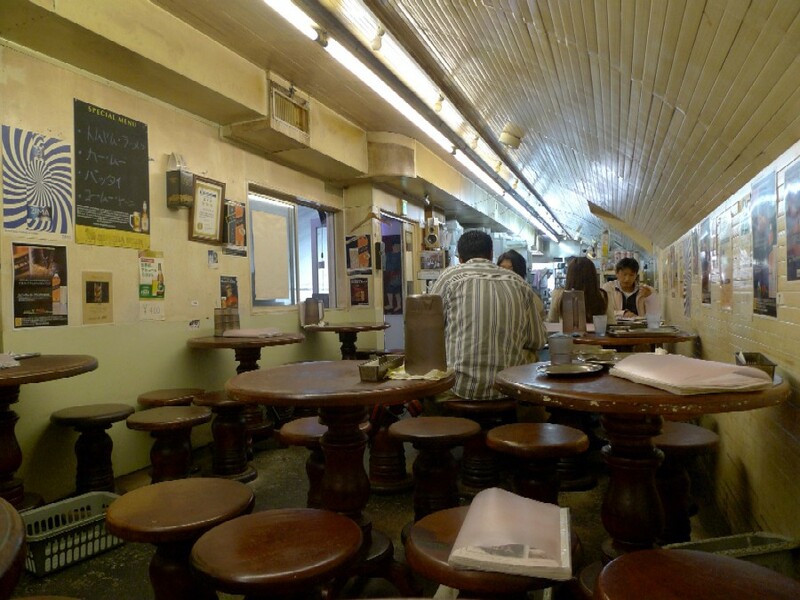 I wanted to walk into it at that time, but I couldn’t because I was not sure if it would be a right choice or not to eat at the restaurant with the common touch (I mean, it was a kind of greasy spoon). I often go to Yurakucho in the daytime lately, so I had lunch at it twice. I had Stir-fried egg and shrimp last week. It was tasty, but I got a stomach upset. It was real Thai cooking using a lot of oil and garlic. Then, I had a least-contested set meal this week. 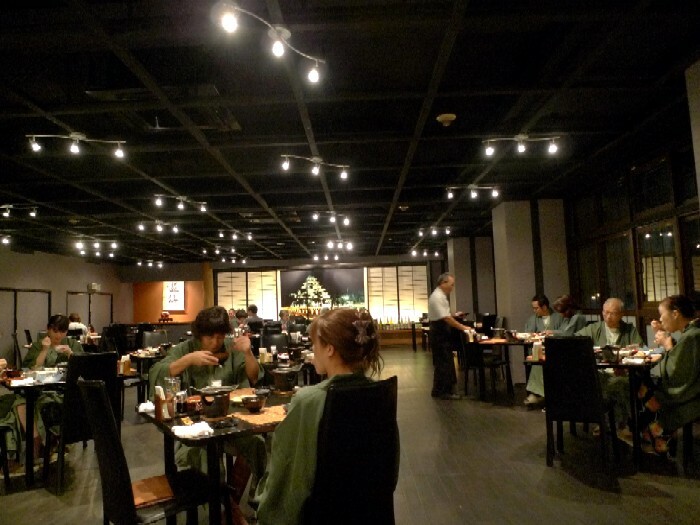 Except drinks and some special menus, most of dishes’ price is 630yen all day. The owner of Aroyana Tabeta is a Japanese men who also runs a Monjayaki restaurant chain, a travel agency, a language school, and so on. He lived or lives in Phuket and opened Thai restaurant in Phuket and Tokyo. He seems to be a maverick figure. Monjyayaki (or monja for short) is a kind of pan-fried batter mixed with seafood or meat and finely chopped ingredients such as cabbage or corn. 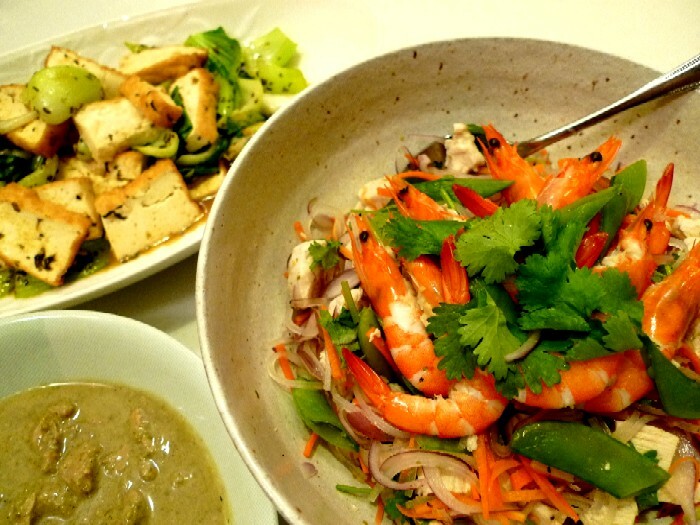 The restaurant serves local Thai dishes, not only stereotype meals for foreign people. 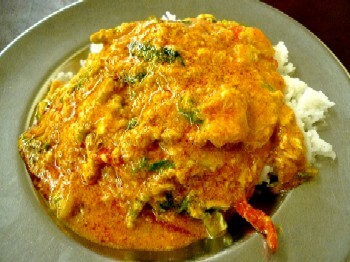 From customers' reactions, hot dishes seem to be mercilessly hot. Be careful, when you order. I made Thai (style) meals with a relatively small amount of oil and garlic for dinner tonight. Last week, I took moving pictures with the 3D camcorder, HDR-TD10, that I borrowed from Sony, so I signed up with YouTube and posted a simple video (2D version) on it. I finally made a late debut as a YouTube poster! Let me use this blog to exhibit it. It’s a trifling video (1 minute 21 seconds) in which ducks felt itchy and scratched its body, so please take a look at it if you have time. If you have an itch on your body and can’t reach that part, what would you do? Fortunately, the first duck could use its leg, but the second one …. I like taking still pictures (though no good at it), but I seldom take moving pictures, so I felt a bit out of my element when taking them. In the case of photos, I can imagine what I shoot and how at the moment of pressing the shutter button. In the case of videos, on the other hand, I’m not sure about that because I cannot know how a scene will unfold during filming without an acting script. It may be a matter of liking. This is the HDR-TD10, the Sony’s first 3D camcorder that went on sale from last April in Japan. 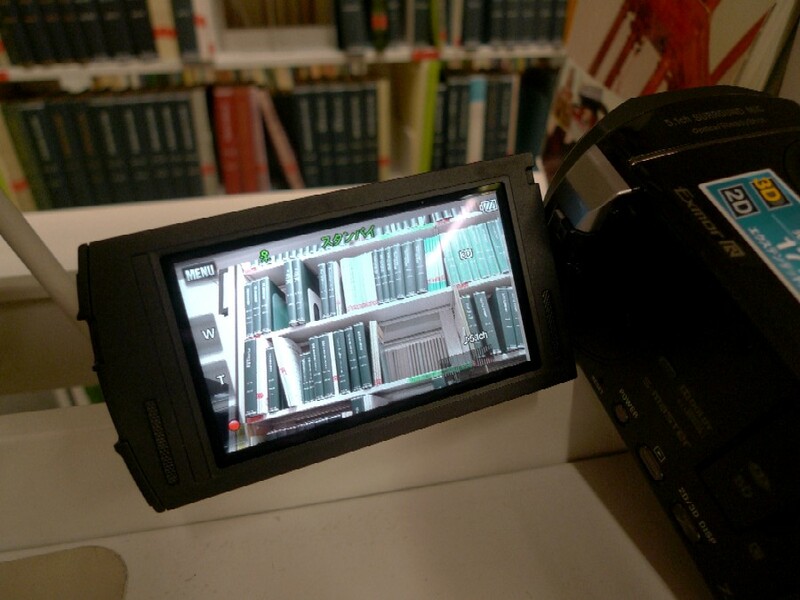 I’m thinking about whether or not I buy a 3D camcorder for my research. Three companies (Sony, Panasonic and JVC) have released the equipments for a general user, and each of them has advantages and disadvantages. I need one with wide-angle lens that has low f-number. From that point of view, while Sony’s one has the widest lens, JVC’s lens has the lowest f-number. However, the difference in f-numbers is small, so HDR-TD10 is a prime candidate so far. However, JVC’s GS-TD1 is superior in terms of the post-production process because that an easy-to-use video-editing program is available and that it has high degree of compatibility with peripheral devices. I’m good at using equipments intuitively, but unfortunately, I don’t know a lot about camcorders, so please look up the details on your own if you are interested in a 3D camcorder. Now, I’m trying out HDR-TD10 using a lending service of Sony’s camcorders and enjoying taping this and that around me. Well, it’s very simple to operate, but there are troubles in editorial operation (that's to be expected). I learned an unfamiliar advanced video-editing program, which is only one for the equipment, the hard way for quite simple editing, but I couldn’t export 3D video file that HDR-TD10, which is the only equipment I can watch 3D video, can play back. The person who’s not interested in the high-tech video equipments in their daily life and still watching the CRT-based television (of course, it’s me) draws a strong retort from the inadequate knowledge of advanced type of videos. Will I become skilled in the use of it? Do I really need 3D camcorder in the first place? I’m filled with thought of those. 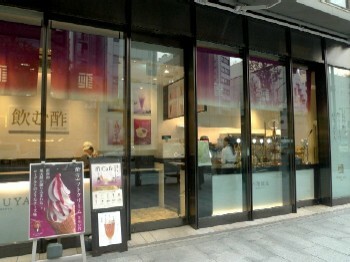 I knew that the café located in a new annex of the Mitsukoshi department store in Ginza and its reputation for sundae. 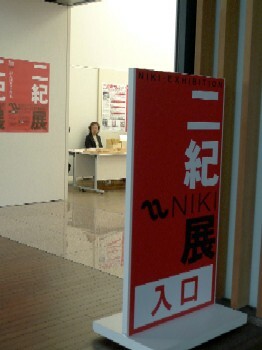 However, I didn’t have the chance to go to it during the summer. I was in Ginza in the late afternoon the other day and was faint with hunger (Well, I’ve brought my declaration that I’d abstain from eating into action). I got its sundae off the top of my head. The sauce on the ice cream was grape vinegar (not common wine vinegar). 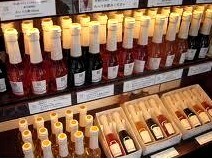 A well-established vinegar maker produces the café, and it offers drinks and desserts using vinegar. Few years ago, there was once a boom in vinegar as a healthy beverage in Japan. So, now you can easily find specially made vinegars that have a taste like fruit syrup. The café sells such vinegars of various flavors. 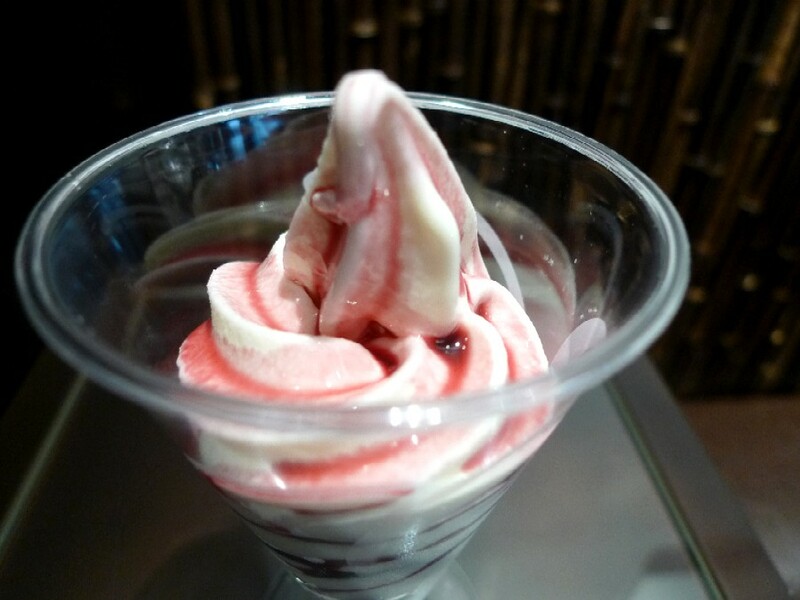 The soft-serve ice cream went well with the fruit vinegar. That was great! I tasted some kinds of vinegar at the café. I had negative thoughts against the boom, but I think I have to change that thoughts because fruit vinegars in Japan have developed very much. 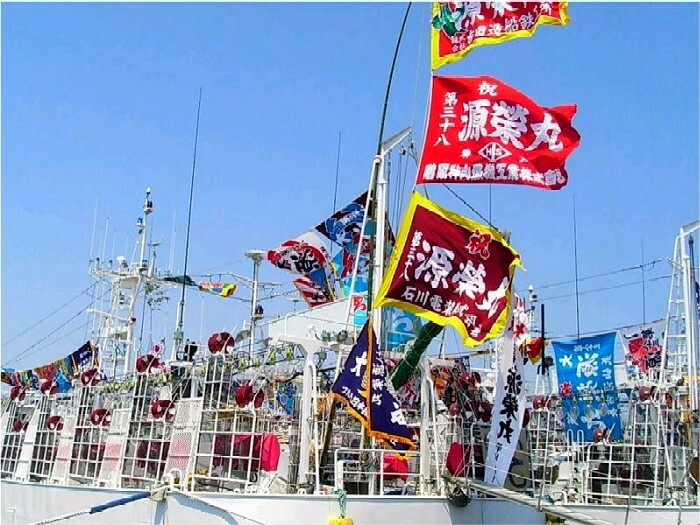 The flag with gorgeous, multicolored illustrations called Tairyo-bata (the fishing boat flag) was originally used to indicate a large catch and ran up when a boat came into harbor. In present day Japan, it’s mainly used on celebratory occasions such as a launching ceremony and a festival. 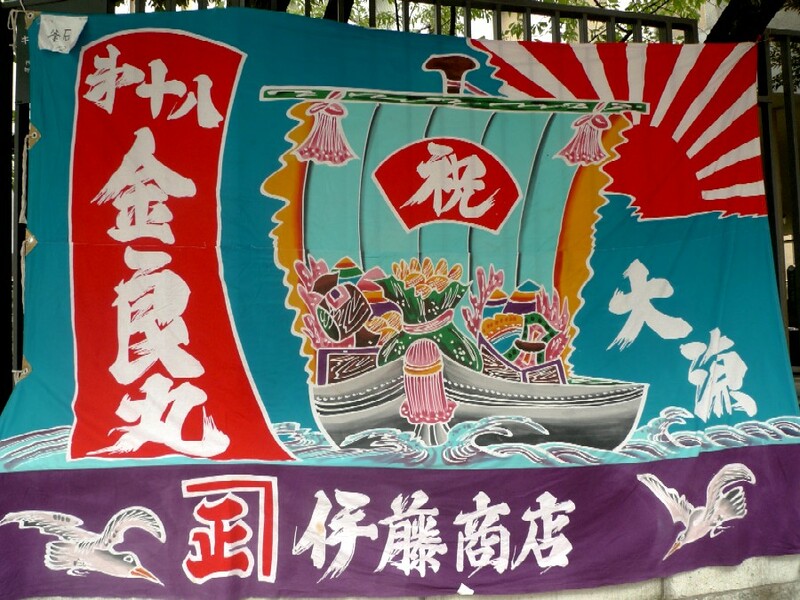 For good luck, suspicious designs are featured on the flags: the ship of the Seven Gods of Good Fortune (these gods are believed to arrive on a ship full of treasures and bring people good fortune), cranes and turtles represent longevity, Mt. Fuji, fishes, and so on. 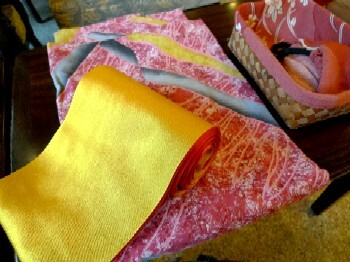 As reported by an international research about predilection for color conducted in the 1990s, Japanese tend to prefer a combination of primary colors like Tairyo-bata. Of course, people have different tastes in color, but if I turn my eyes to the festivals and items related to them around the country, I can see the various brilliant combinations. It’s interesting that modern Japanese still have that tastes. Back to concerts, I saw a lot of tairyo-batas including one in the opening picture at an event I encountered last month (see the previous post). 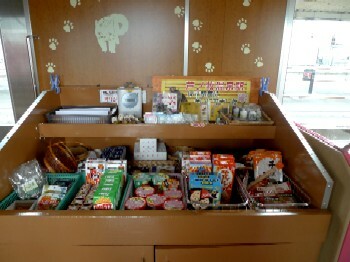 These are from tsunami-devastated areas in Miyagi and Iwate Prefectures. 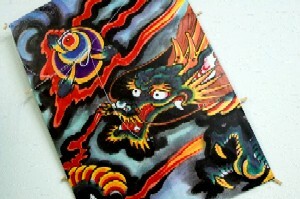 The opening one was formerly displayed on the fishing boat named Kinryo-maru that was based at Kamaishi, Iwate. I couldn’t get information about that boat, but I found the company named Ito Syouten, which sent the flag to the boat owner, on the Web. It’s a Kamaishi based seafood products manufacturer. 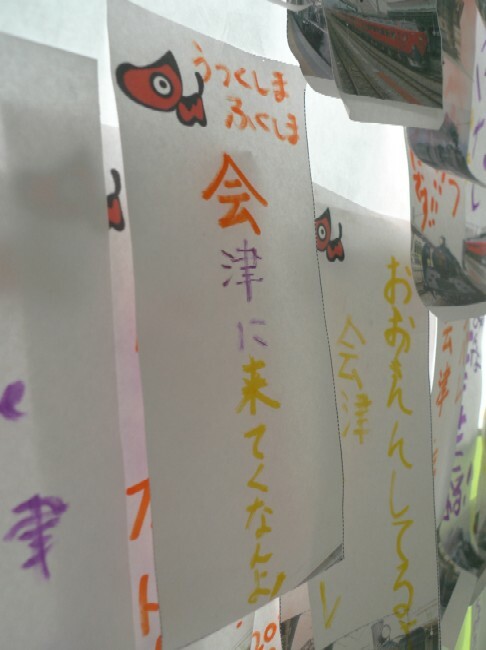 As you know, in Tohoku, many fishing boats were lost in the tragedy of the tsunami. Now, new boats are making an appearance, and the colorful flags fly at a launching ceremony. 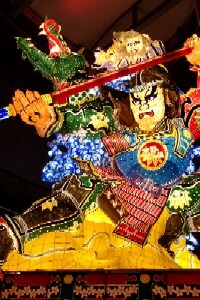 Tairyo-bata shows the spirit of fisherman. I hope more and more tairyo-batas would fly on a sea of Tohoku. These are the flags displayed at the event.